Dryer chairs built to fit most standard salon dryers. When applicable, allow 2-4 weeks for custom color upholstery. All custom upholstery work completed in California. 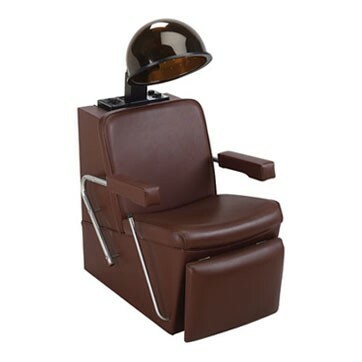 Order with or without upholstered armrests Order with or without upholstered padded legrest Mirror-finish chromed tubular accents Fits standard salon dryers cabinet sizes Available in custom color or C.O.M.